The stone building on the island platform at Swindon, opened in 1842 to the designs of Brunel, is listed and designated at Grade II. Prior to a fire in the 1880s it was twice the length so that the protruding section to be seen at the far end was in the centre; this was the position of a footbridge. The upper floor formerly provided hotel accommodation for passengers. 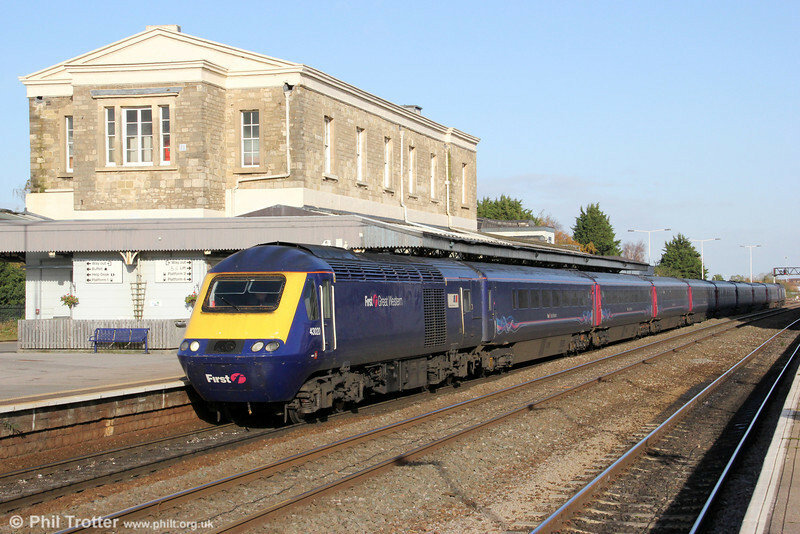 43020 'MTU' calls with 1G38, 1415 London Paddington to Cheltenham Spa on 27th October 2012.